If the area around the window is so rotted out as to be structurally unsound, then you will need to use a full frame replacement window. Older historical homes may need to be preserved due to city regulations. In this case you may only need an “insert” replacement window. Valuable window terms and information to know when talking about or ordering windows. Replacement windows are a prime example of why it is sometimes nice to have professionals take on a home improvement project. Active Panel Primary operating door panel. Aluminum Surround The aluminum frame around a screen or energy panel. Apron A piece of casing or decorative trim installed against the wall immediately beneath the stool of a window. Argon Gas A colorless and odorless gas used to fill the airspace between insulating Low E glass. The addition of argon greatly increases the insulating performance of the Low E glass. Assembly Single units mulled together. Astragal A moulding applied to one stile of a French Door, Sliding French Door or French Casemaster window unit which the other door panel or window sash strikes. Usually head and footbolt devices will be found on the astragal side. Authentic Divided Lites (ADL) Also known as True Divided Lite. Permanent stationary muntins and bars separate the glass in a window or door sash to give the sash two or more lites of glass. Awning Window Unit A combination of frame and sash, hinged at the top of the vertical jambs which allows the unit to pivot from the top with the sash opening to the exterior of the building. Balances A block and tackle system used in the jamb liner of double hung or single hung units. Bars A narrow rabbeted, horizontal or vertical sash or door member in an authentic divided lite unit, extending from rail to rail or stile to stile along the total length or width of the glass opening. Bay Windows A series of windows installed in a bay which is two flanker units and a center sash; a bay may be an arc or a polygon; when a bay is or closely approaches an arc, the window is termed a bow. See Bow Windows. Blindstop The frame member on a double hung window located between the jambs and the casing. The blindstop forms a rabbet that supports either a storm sash or screen. Bow Windows A series of adjoining window units, installed on a radius. Brick Mould Casing BMC An exterior moulding of window and door frames that abuts the exterior facing material of the structure. The casing serves as the boundary moulding for brick or other siding material and also helps to form a rabbet for screens and/or storm sash or a combination door. Cam Lock A lever operated lock which is used to prevent intrusion through the sash. Cam locks and keepers were installed on the jambs and stiles of older Casemasters and awnings. Cam Pivot A zinc pivot pin attached to the top and bottom sash stiles of double hung units (bottom sash on single hung units). Cam pivots rest on the clutch system of the balance tube assembly which allow opening and closing of the sash. Combination Storm A wood or aluminum storm sash with self-storing screen and operating glass panels. Available for double hungs, gliders and wood swinging doors, these panels are removable. Combination Window A wood or clad wood frame storm sash with self-storing screen. Bottom glass panels such as those installed on a double hung unit operate by moving the plungers in and sliding the glass panel up to the desired position. Side glass panels such as those installed on gliders slide to the left or right to the desired position. All inserts are removable from the inside. Cottage Window A window with unequal sash, top and bottom. Daylight Opening (DLO) The width and the height of the visible glass. Depth of the Jamb The point where the exterior casing ends to the point where the interior casing begins. On clad units, the point from the backside of the nailing fin to the interior of the frame. Direct Glaze Refers to a window with no sash. The glass is glazed directly into the frame and is stationary. Divided Lites Division of light by the use of muntin bars. Grilles Between Glass (GBG’s): Aluminum flat or contour bars divide the glass visually. Because the grille is between the glass, grilles do not become misplaced or damaged. Cleaning is easy without small panes of individual lites. Double Hung Double hung windows have two movable sash which operate vertically. Double hung sash are held in an open position with the use of coil spring block and tackle balancing devices. Double Hung Tilt Pac A specially designed, made-to-order, package which includes everything needed to replace double hung sash and hardware in an existing frame without changing the frame. This product has the same tilt feature as the Marvin double hung. Drip Cap A formed aluminum or vinyl piece which is installed at the top of windows and doors that allows water to run off the casing of the unit instead of seeping around the casing and into the unit. Electric Operator An electrically operated device which will open Casemasters or awnings units by using a switch. This is used in lieu of a roto gear crank or pole crank. Energy Panel (EP) Formerly called an RDG – removable double glazing, is a piece of glass annealed or tempered, and finished on the edges by a surround. EPs are applied to windows or doors and rest on the glazing stop. EPs offer the homeowner added energy efficiency. Escutcheon A decorative door handle plate attached to the stile directly behind the handle(s). Generally square or rectangular shaped. Espagnolette Tilt-Turn hardware which houses the gear mechanism for the Tilt-Turn, inswinging casement and hopper handles. Extrusion An article or product of vinyl or metal-made by the process of extruding. Extrusions include vinyl sill and head jamb tracks, vinyl jamb liners and aluminum cladding used on the exterior of clad units. Field Measurement Guide A form that is filled out prior to ordering the Clad Magnum Double Hung Replacement System with Panning to ensure the correct sized unit is assembled at the factory. Finger-Joint A series of fingers machined into the ends of two pieces of lumber to be joined together. They are then held firmly in position by adhesive. Finger jointed wood is very strong and has a lesser chance of warping than does a clear piece of wood the same length. Flanker A former term used to describe a side or lateral part. Also previously used to describe a 3-wide picture unit or bay. See two-wide entry. Flat Casing Flat, surfaced on four sides, pieces of pine of various widths and thicknesses for trimming door and window openings. The casing serves as the boundary moulding for siding material and also helps to form a rabbet for screens and/or storm sash or combination doors. Footbolt A locking rod device installed vertically in the stile or astragal of a door or screen which when activated secures the panel or screen in a stationary position. 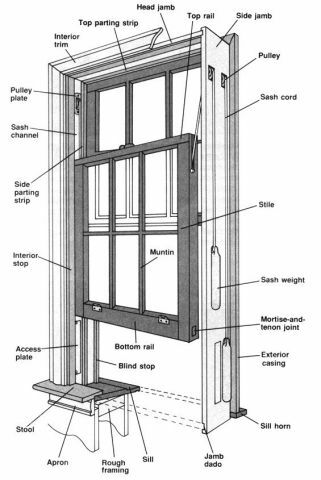 Frame The stationary portion of a window that encloses either the glass (direct glaze) or the sash (operating or stationary) and consists of the head jamb (top), sill (bottom), sub-sill, side jambs, jamb extension, brick mould or flat casing, and blindstop. Frame Expander A flat aluminum extrusion used in conjunction with the 90 degree frame expander to provide a flat casing appearance for clad units. French Casemaster A Casemaster styled unit with two sash in one frame providing a sense of openness unrestricted by a vertical mullion or stiles when both sash are open. French Door Marvin French Doors are available in either inswinging or outswinging rectangular or arch top style choices. Friction Limiter A device used on a Magnum Tilt-Turn to provide friction to the sash when in the swing position. Glass Size (GS) The measurement of the actual glass, not the visible glass. Glazing Installing glass into windows and doors. Glazing Bead Strips of profiled wood or vinyl used to hold the glass in position in the sash. Wood glazing bead is attached to the rails and stiles of the sash using staples, small nails or vinyl barbs. A vinyl bead is held in place by extruded barbs positioned in the kerf. Aluminum caps may be used over the vinyl bead in some cases. Glazing Tape A two sided adhesive tape placed between the glass rabbet and the glass and/or the glazing bead and glass of some unit types. Glider Horizontal operating units which have one sash fixed while the other glides open and shut horizontally. Grilles Removable wood dividers made to simulate authentic divided lites. Grilles are often rectangular or diamond shaped and are easily removed for cleaning purposes. Grilles can be purchased for nearly all Marvin products. Handing A term used to describe the right or left hand operation of a window or door. Head Jamb The top member of a frame. Headbolt A locking rod device installed vertically in the stile or astragal of a door or screen which when activated secures the door in a stationary position. Historical A term used to define a window or door product meeting the requirements of historical renovation standards. Inactive Panel Secondary operating door panel. Insulating Glass (IG) See Glazing. Inswing French Door A French door with panels that swing to the inside. One, two, three and four panel units available as stationary or operating. Inswinging Casement A non-tilting version of the Magnum Tilt-Turn. Interior Casing The casing trim used on the interior perimeter of the window or door. Generally supplied by others except in the case of round top casing which is factory supplied. Jamb Liner Thin strips of wood attached to the head jamb, side jambs and sill to accommodate various wall thicknesses. Common jamb depths are: 4 9/16″, 4 13/16″, 5 1/16″ and 5 3/16″. Keyed Cylinder Lock A lock providing an exterior entry and locking convenience. Krypton Gas Inert gas known for its ability to provide insulating properties in a small air space. Laminated Glass Glass composed of two sheets of glass fused together with a sheet of transparent plastic between the sheets. When broken laminated glass will generally not leave the opening. Laminating A method of gluing strips of thin clear wood to the lengthwise surfaces of finger jointed material to provide the appearance of clear stock. Lever Lock A lever handle and lever arm operator available as an option on awning units. Lockset A complete door lock system comprised of the lock mechanism together with knobs, keys, plates, strikes and other accessories. Low E II Glass A high performance Low E glass, providing the best winter U-value and warmest center glass. It offers significant improvement in reducing solar heat gain coefficient values, providing customers one of the coolest summer glass temperatures of all Low E products. Additionally, ultraviolet light transmission is greatly reduced. The Low E II coated glass products are specifically designed for insulating glass units normally as a second surface coating. See Low E and pyrolitic definitions. Magnum A Marvin trade name for heavily constructed window products which are designed for applications where a heavy duty product is necessary. Magnum Double Hung A heavy duty double hung product made with larger than standard parts. The larger sash parts will accommodate larger glass sizes. Magnum Hopper A heavy duty window designed to tilt into the room for ventilation purposes. Magnum Tilt-Turn A heavy duty window. The Magnum Tilt-Turn has hardware which allows the sash to either be tilted into the room for ventilation or swing into the room for egress or cleaning. Masonry Opening A brick, stone or block opening into which a window or door unit is installed including the outside casing. Mortise and Tenoning The system by which Marvin assembles authentic divided lite units, a projecting tenon on either the muntins or bars fit snugly into a mortise in either a bar, stile or rail. Mulling The act of attaching two or more window or door units together. The joint is then finished with a mullion center cap or mull trim. Mullion The vertical member of a sash, window or door frame between openings in a multiple opening frame. Mullion Cover A clad cover for space mull usage on the Clad Magnum Double Hung Replacement System with Panning. It covers a range from 3″ minimum to 10″ maximum. Mullion Expander An aluminum extrusion designed specifically for the Clad Magnum Double Hung Replacement System with Panning to allow the existing panning to be expanded to a wider width to accommodate a larger rough opening. Mullion Reinforcement The 3/8″ mullion reinforcement is designed to be used on wood or clad multiple Casemaster, awning and direct glaze assemblies to improve structural performance. Multi-Lock Hardware An adjustable lock system used on the French Casemaster to ensure a tight seal of the sash frame components. It also provides a secure locking system. Multi-Point Locking System A line of standard or optional multiple point locking mechanisms installed on the operative panel(s)/ sash of various Marvin products to enhance security and performance. Muntins (or “munt”) A short “bar,” horizontal or vertical, extending from a bar to a stile or rail or another bar. Nailing Fin A factory installed vinyl strip that is inserted into a kerf in the frame of clad units. Nailing fin installation is the standard method used for installing clad units. Non-Keyed Cylinder A handle without a keyed cylinder. The door cannot be locked from the exterior. Obscure Glass Glass formed by running molten glass through special rollers. These rollers have a pattern on them causing the glass to become patterned and thus obscure. One-Wide (1W) The current term used to describe one frame with single or multiple sash or panels. Operation Our drawings always illustrate the window sash or door panels as if you are looking at it from the exterior. X means operating, O means stationary. Operator An operating sash, panel or unit. Outswing French Door A French door with panels that swing to the outside. One, two, three, or four panel units available as stationary or operating. OX The letters OX or XO identify the operation of window or door units as viewed from the exterior. The letter O stands for stationary while the letter X stands for operating. Panel Either the stationary or operator wood frame with glass used on Marvin door products. Panning A term used to describe the aluminum covering extrusion components (i.e. jambs, sill and head jamb) used for the Clad Magnum Double Hung Replacement System with Panning. Part Stop A strip of wood with weather-stripping attached which prevents air and water infiltration. Part stops are commonly found at the head jamb of a double hung unit. Pitch A term used to describe the angle of a roof. 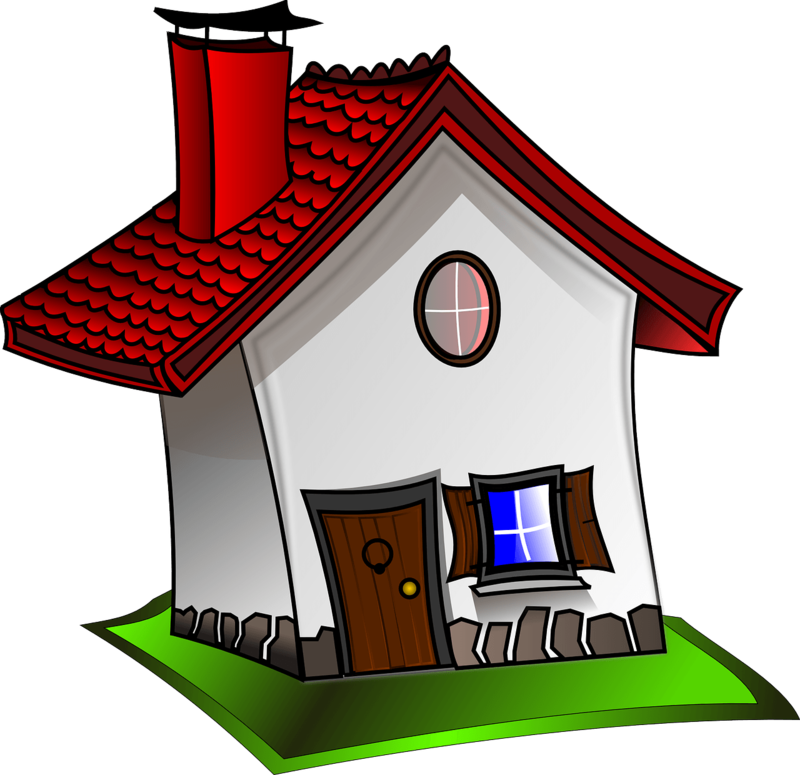 For example: A 4-12 pitch indicates that the roof rises 4″ vertically for each 12″ horizontally. Plinth Block A decorative wood block placed between the vertical casing and the top casing of a unit to provide an elegant interior casing profile. Pole Crank An aluminum extension pole used to open or close roof windows or awnings which would be inaccessible because of their height. PolygonA high level term used to describe triangles, trapezoids, pentagons, hexagons and octagons. Prime The first coat of paint in an application that consists of two or more coats; also refers to the paint used for such an initial coat – primer. Pultrusion Lineal profiles of constant cross section manufactured by combining plastic resin and continuous glass fiber reinforcement. These thermally insulating and structural components are ideally suited for applications where strength, thermal stability and weather resistance are required, such as in patio door frames and commercial windows. Pyrolytic Low E Glass (Hardcoat) Pyrolytic Low-E is designed to be used either in non-insulating applications such as energy panels that have exposed surfaces or for insulating glass applications. In some northern climatic situations where an application or customer requires increased solar heat gain, over Low E II performance, this is a desirable option. This increased solar heat gain which is desirable in winter may increase summer energy costs if the home is air conditioned. The pyrolytic coating is typically applied to the second surface, but can be applied to the third surface to provide increased solar heat gain. R-Value The resistance a material has to heat flow. Higher numbers indicate greater insulating capabilities. Rabbet A groove along or near the edge of a piece of wood. Radius The length of an imaginary line from the center point of a circle to the arc or circumference of a circle. Rails The cross or horizontal members of the framework of a sash, door or other panel assembly. Relief Kerf Kerfs machined into the frame parts of a unit. Relief kerfs inhibit warping. Retro-Sizing Refers to units which are sized for replacement purposes. Rolled Aluminum A term used to describe aluminum profiles for screen and energy panel surrounds which are fabricated by the use of a roller or series of rollers to produce a desired profile. All other Marvin profiles are fashioned by the extrusion method. Roller Cams The adjustable roller devices of the Multi-Lock hardware installed on the sash of the French Casemaster unit. When adjusted properly with an Allen wrench, they ensure a tight seal between the sash and frame members. Rose A circular cover plate attached to the stile directly behind a knob or door handle. May be plain or have a decorative design embossed into the cover. Roto-Gear A term used to describe the steel drive worm, gears and crank device used for opening awnings and Casemasters. Rough Opening The opening in the wall where a window or door unit is to be installed. Openings are larger than the size of the unit to allow room for insulation and to shim the unit square. Round Top Generally a semicircle window which is mulled to the top of another window or door, thus forming the round top appearance. There are full round tops, separated round tops, ellipticals, transoms, inverted corners, ovals and Gothic heads, etc. Round tops can be used separately or combined with other units to create a seemingly endless selection. Round Top Tilt-Turn A round top sash version of a Magnum Tilt–Turn unit. Sash Limiter An optional metal device which attaches to a Casemaster sill and bottom rail which limits the sash to a specified opening -5, 10, 15 or 20 degrees. Sash Lock A locking device which holds a window shut, such as a lock at the check rails of a double hung unit. Larger units utilize two locks. Sash Opening (SO) The opening between wood frame members for both height and width (disregarding any jamb hardware tracks). This measurement is used predominantly when measuring an opening for the Double Hung Tilt Pac. Sash Retainer Plate A nylon retainer plate used on double hung and Magnum Double Hung sash to secure the bottom sash. Sash Width Horizontal measurement across the face of a sash. Screen OM (outside measurement) The width and the height of a screen including wood or metal surrounds. Screens A close-mesh woven screen material of metal or fiberglass attached to an aluminum or wood surround. Screens inhibit entry of insects, yet permit light, air and vision. Most Marvin window and door products utilize full screens. Half-screens are available for single hung units. Sequential Locking System An exclusive Marvin design used on Casemasters for locking the sash to the frame. The action is sequential where the lower lock activates first moving the sash to the weatherstrip; the top then engages to snug the sash to the frame. Side Jamb The side (vertical) member of a frame. Sidelite A stationary glass panel mulled to or installed next to a door. Sill The horizontal member forming the bottom of a window or exterior door frame; the lowest member of the frame of a structure, resting on the foundation and supporting the frame. Sill-Horn The extension of the lip of a window sill to the outside edge of the casing. Single Hung A window very similar to a double hung window, except that the top sash is stationary or non-operable. Sliding French Door A sliding door utilizing French door style panels. Slope The measure of the tilt of a line; rise over run. 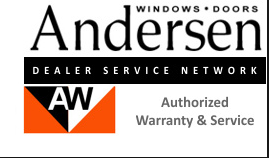 Snubber An interlocking metal bracket attached at the center of the hinge side of a Casemaster sash and frame with a call number height of 40″ or more and both sides of an Awning sash and frame with a call number height of 48″ or more. It pulls the sash tightly against the frame weather-strip to maximize performance. Spacer Used to separate the two pieces of glass in an insulating glass panel. Square Foot For measuring the area of a unit. RO width (in inches) x RO height (in inches) divided by 144 equals the area in square feet of a unit. Stabilizer Arm An optional piece of hardware for the Tilt-Turn window which is attached to the header and top rail corner drive on the handle side to limit the travel of the sash when operated in the tilt mode. It is automatically disengaged when the sash is swung in the turn mode. Starburst A semi-elliptical area, the lower center is the point where the dividing spokes meet and radiate outward. May be constructed of glazed sash, removable grilles, ADL or SDL. Stationary A non-operating sash, panel or unit. Stationary Sash Bracket A 90 degree L bracket used to secure stationary Casemaster and awning sash to the frame. The sash can be removed for replacement by removing the wood stops and bracket screws. Stiles The upright or vertical perimeter pieces of a sash, panel or screen. Stool A horizontal trim member that laps the window sill above the apron and extends beyond the interior casing. See apron entry. Storm Sash A wood framed assembly containing non-removable glass. The storm sash is removed during the summer and replaced with a wood framed screen. Structural Masonry Brackets An installation bracket used with multiple high/wide window units or large doors for added structural support. The brackets are also used to attach the unit in the rough opening in lieu of nailing through the casing, thus eliminating unsightly nail holes. Sub-Sill The supplemental member of a frame used under most awning and casement units as an additional sill with the primary purpose being to hold multiple units together at the sill. Sunburst A semi-elliptical area, the lower center of which contains a sun-like figure with sun rays radiating therefrom. May be constructed of glazed sash, removable grilles, ADL or SDL. Surround An attractive, protective trim which is secured to an energy panel by an adhesive or vinyl barb to give the glass panel a safe finished edge. Also the aluminum framework for most standard screens. Tempered Glass Float glass panels heated and then cooled rapidly in a controlled environment. This process makes the glass several times stronger than regular glass. It also makes it safer because when broken it yields small pebble-like fragments. Template A pattern of a window unit from which dimensions and measurements can be determined. Round Tops require templates for replacement units. Three-Wide (3W) Current term referring to any product or unit when three frames (i.e. separate jambs) are mulled together as a multiple unit. Tilt-Pac A specially designed made-to-order package which includes everything needed to replace double hung sash and hardware in an existing frame without changing the frame. This product has the same tilt feature as the Marvin double hung. Transom A window above a window or door. Transoms can be either stationary or operating. Trimline A wood or clad patio door having two or three glass panels; one panel operates. Formerly known as a Wood Retro (WR) or Clad Retro (CR) door. The door features a multi-point locking system. Turn Button A vinyl or aluminum button and screw. Buttons are used to secure wood combinations, storm sash and wood screens to the exterior casing or energy panels to the sash or door panel. Two-Wide (2W) Current term referring to any product or unit when two frames (i.e. separate jambs) are mulled together as a multiple unit. U-Factor A measure of total heat flow through a window or door barrier from room air to outside air. Lower numbers indicate greater insulating capabilities. Ultrex A pultruded composite material made of polyester resin and glass fibers. This superior material is now being used in many Marvin products. Unit One single product such as a one wide casemaster. Vinyl Glazing Bead A vinyl extrusion used on clad units which serves the same purpose as a wood glazing bead for wood units. Weather-Stripping A strip of resilient material designed to seal the sash and frame members in order to reduce air and water infiltration. Wire Glass Glass with wire embedded into the glass when the glass is still in a molten state. This prevents the glass from falling out of the sash if it should break. XO The letters OX or XO identify the operation of window or door units as viewed from the exterior. The letter O stands for stationary while the letter X stands for operating.